Couture Hijab Pins is new Facebook-based company run by two sisters who hand make and sell their hijab pin designs. 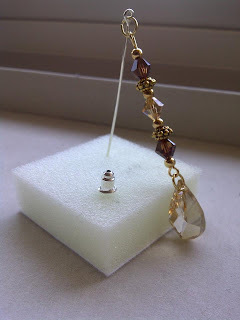 I was recently sent the Swarovski Golden Crystal Maxi Drop Pin to review. 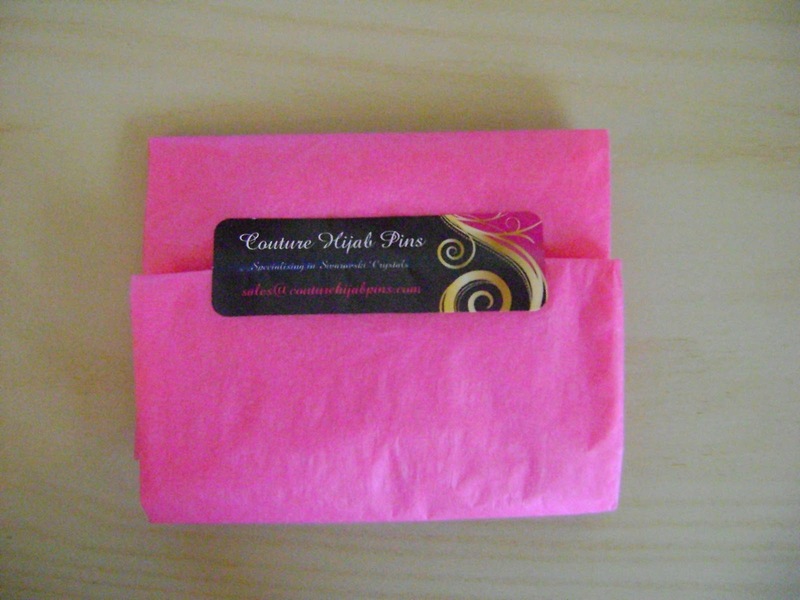 Inside the envelope, the pin arrived wrapped in pink tissue paper. The pin really is beautiful; the design looks classy and elegant, without being garish at all. Both the stick and the chain measure about 6cm each. The chain is made up of alternating Swarovski crystals in both a golden brown and a deeper bronze, and ends with a Swarovski helix drop pendant. The pin itself is secured with a removable bell back. The colours of the pin are quite subtle so look great with a variety of hijabs, but especially shades of brown, cream and gold. 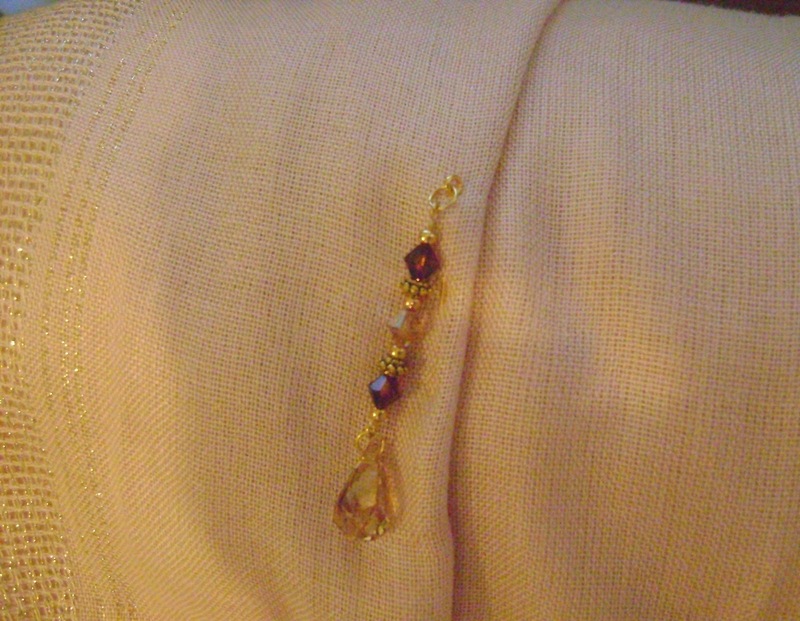 As the pin is quite long, it's great for keeping thicker or layered hijabs in place, but I felt it was too large for thin or delicate fabrics. It stays in place very well and you can always choose not to use the bell back. This lovely pin is great adding a touch of glam to an outfit. I love the fact that it is handmade; which just makes it that much more special than generic mass-made products. The customer service was good and the other pins in the range are just as pretty. This looks like a more simple version of the hijab pins that have been currently in style in Indonesia in the last 2 years.